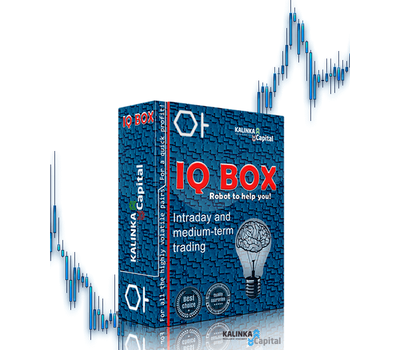 Minimum quantity for "Trading robot IQ BOX v.3.01 for Meta Trader 4" is 1. We (Kalinka Capital OU) will add your email address to a special mailing list for this product. Once the product is in stock, you’ll get an email about it automatically, and your email address will be removed from the product’s mailing list. The data will be visible to some members of our staff. If you’d like to have your personal data removed, send an email to support@kalinkacapital.ee. market entry with pending orders on Asian session channel breake-though. One of the man advantages of IQ BOX, is a trading strategy of the price channel break-though, formed on Asian session, filtering most of the false market entries with less probability of the price channel break-though. 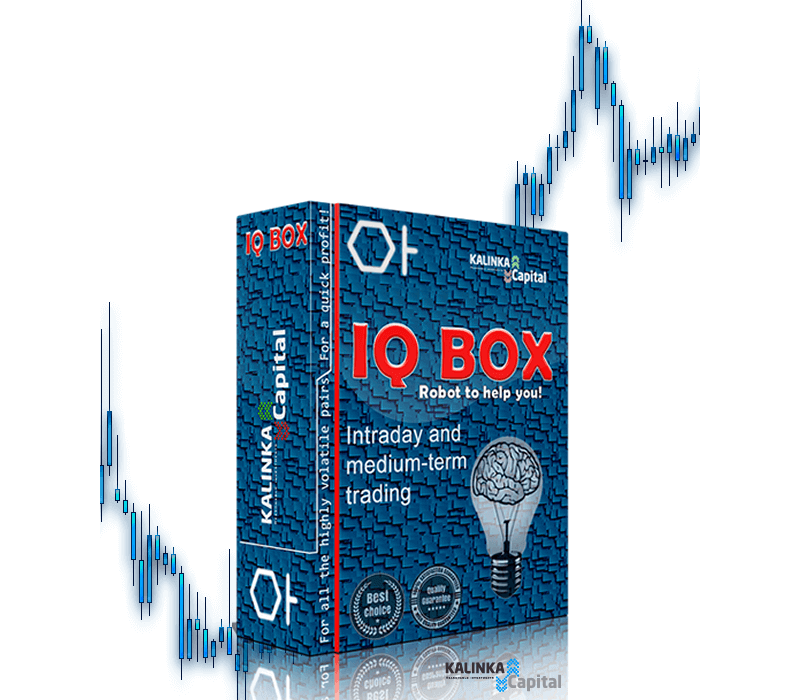 IQ BOX forms the entry points precisely enough, informing the trader about formed price channels beforehand, projected profit points that advisor will get during the day. Non-standard indicators and one filter built into the code of advisor are used for market entry, based on the standard ZigZag indicator. Trader is informed about gathered and processed data via break-though level lines and expected profit fixing level. Also, the "Profit Hour” function is applied in the advisor. In case if past certain time, that is set in the trading settings, the price didn't get to the specified TakeProfit, and projected movement was not confirmed, advisor will close the position in current profit (position will not closed in loss). Future candle that is planned for profit fixing will be shown on the chart. 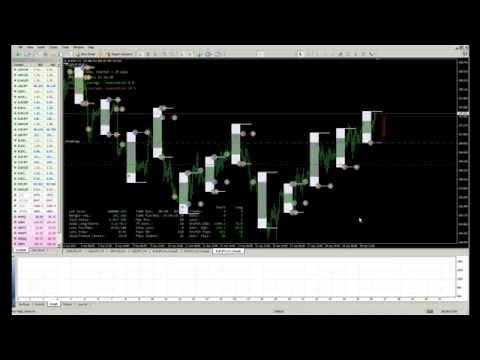 For averaging the loss making position, system of reversal analysis is applied, analyzing the price reversal projection in the direction of loss making position, with the following output of this position in total profit on trading account via pending orders placement by the signals of indicator built into the code of the IQ BOX advisor. The averaging system does not uses so called "Martingale", and leaves the margin level and equity availability of your account in safe borders, making the trading process with IQ BOX, riskless. For better informative content, forex advisor has visual indications of total profit fixing levels by all opened positions when averaging process is in act. Also, for possible losses limitation, advisor has an option of using the StopLoss values. 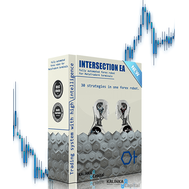 Logic of the StopLosses use is also developed by our company. Each time when the pending order is placed, advisor calculates the possible volatility and the width of the price channel, with additional modifiable parameters that can be set in the trading settings. Based on these calculations, StopLoss is set accordingly with projected market situation. 28.06.2014 Форекс робот IQ BOX Скидка 50% по промо коду до 31марта 3550,87 руб. это 2-й робот от данного производителя, пока всё стабильно работает! 11.03.2014 Форекс робот IQ BOX Скидка 50% по промо коду до 31марта 3594,45 руб. Trading strategy : market entry through pending orders on price channel breakdown, formed during Asian session.Recommended leverage: not below 1:100. Recommended minimal deposit : 200$ for 0,01 lot (Insta Forex lot 0.10), for each currency pair. Profitability: 10%-25% per month, or 200%-500% per year with re-investment of gained profits.